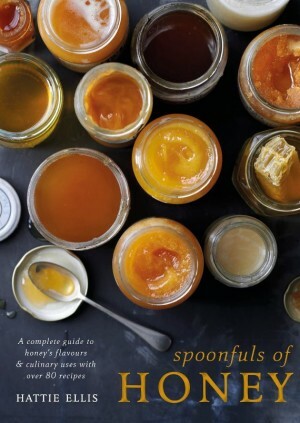 Love and a Licked Spoon is written by Debora Robertson, food writer, editor, enthusiastic kitchen botherer and optimistic planter of pretty and edible things. She lives in north London with her husband Séan, a dog, a cat and a mountain of cookbooks and seed catalogues. She is ideologically opposed to rectangular plates. Her latest book, Declutter: The get-real guide to creating calm from chaos was published by Kyle Books in 2018. Dogs' Dinners: The healthy, happy way to feed your dog was published by Pavillion Books in 2018. Gifts from the Garden: 100 Gorgeous Homegrown Presents, was published by Kyle Books in 2012. In my early twenties, I spent a few summers in Texas and this is how I discovered The Silver Palate. Though the New York deli was a thousand miles from my little Houston apartment by the Rothko Chapel, its cookbook was in my kitchen. I don’t know where it came from. It doesn’t seem likely that it belonged to my boyfriend, who liked a good restaurant but didn’t cook much, other than knowing his was around a barbecue grill. That summer, I read The Silver Palate Cookbook cover to cover, charmed by its line drawings and quotations (“If I can’t have too many truffles, I’ll do without truffles” Colette), its sidebars (The Mustard Maze, Cooking with Herbs, Crudité Combinations) and menus (A Beach Picnic, A Vernal Equinox Supper, Country Weekend Lunch). In its pages, Julee Rosso and Sheila Lukins conjured up a life that was smart but not stuffy, filled with people and parties and draining the last drop of delicious from life. I made its mini quiches (it was the 80s) and American Picnic Potato Salad, Crackling Cornbread and Molasses Cookies, Tapenade and Gazpacho, Braised Short Ribs and Blackberry Mousse. I splattered up its pages with pesto and raspberry vinegar, olive oil and mayonnaise. It made me happy. When I finally made it to New York that first summer, along with trips to MoMA and Bloomingdales, the Carnegie Deli and H&H Bagel (where I saw Dianne Weist, pushing her baby in a stroller, which rounded it out as the quintessential New York Woody Allen experience, back when that was still a good thing), I walked along Columbus Avenue, seeking out the Silver Palate’s blue striped awning. The shop was tiny, perhaps a dozen or so feet square. I bought a bottle of dressing and a tin of coffee, which I brought back to England and kept in my kitchen for months, not using them, cherishing them. I still have my original Silver Palate book. It’s falling to pieces now, faded Post-It notes clinging to pages, remembrance of dinners past. I still use it, decades after capers, olives, filo and pancetta, once so new to me, have folded into my every day kitchen vernacular. This brings together three of my favourite things: my beloved Silver Palate; the peerless Ina (Who Can Do No Wrong); and Nora Ephron, whom I admire so much and whose book Heartburn I read at least once a year. How could I not make it? Seriously? It marries sweet prunes (I always bring bags and bags of Agen prunes back from France with me), salty capers and the sourness of green olives. It is very simple – throw everything together in the marinade, leave it overnight and then cook it for just less than an hour the next day. 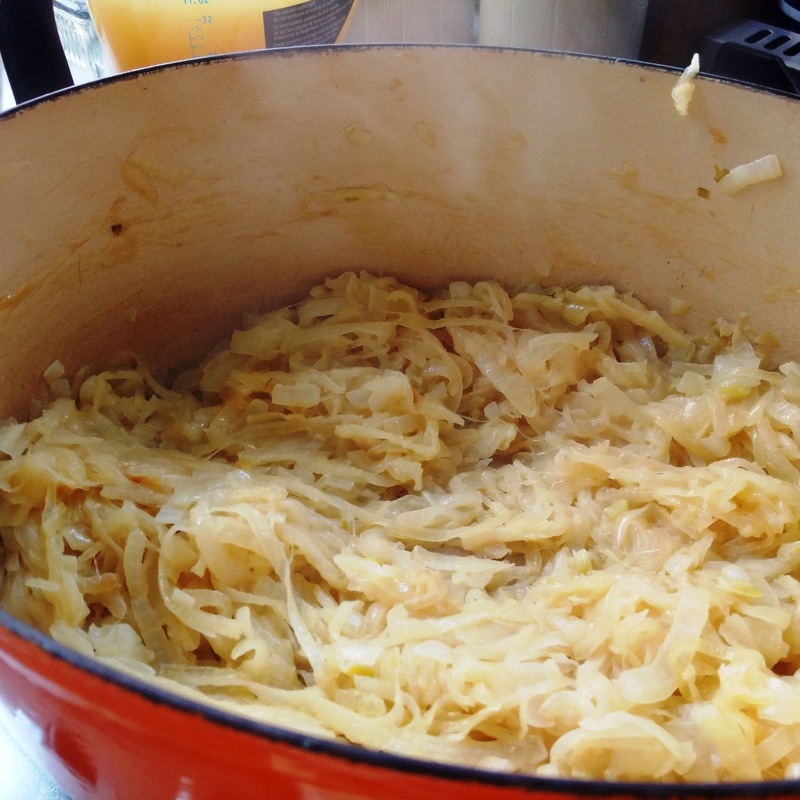 Serve it with rice to soak up the delicious juices. In the SP Bible, Rosso and Lukins also say it’s good cold, or as a picnic dish. I hate eating elaborate food outside, but I might make an exception in this case. It’s great for parties as it scales up really well. I am going to be making it a lot. Many years have passed, decades even, since I first made it. Welcome back, old friend. The simple request, “You must come to dinner,” once a cheerful indication of intimacy, has become fraught with social dangers. How straightforward it was when all you needed to do was put on your best suit or frock, spend the first half of the evening speaking to the person on your right, the second half to the person on your left, jump into a cab by midnight, scribble a thank you note the next day, and we all got out of there alive. Our newly casual way of living means we hardly know when we’ve strayed over some mysterious line in the sisal matting. 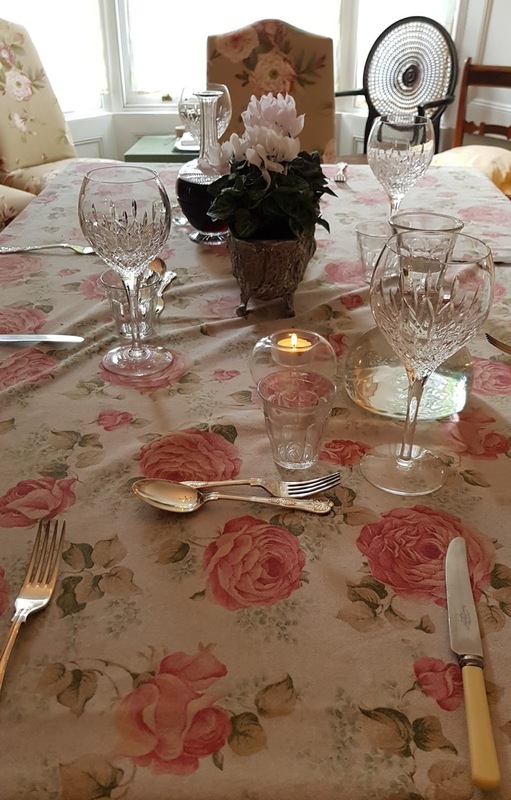 In the latest edition of The Lady magazine, etiquette and modern manners expert, Thomas Blaikie, describes the new dinner party rules, which include leaving by 10.30pm on a weeknight and 11.15pm at weekends, never bringing wine that costs less than a tenner, and, if you’re the host, never making plated starters. Personally, I’ve thrown so many dinner parties, my dishwasher should be receiving some sort of award for its contribution to community relations. Here are my notes from the dinner party front, to ensure both happy hosts and guests. 1. Don’t be on time This is the act of a monster. The only people worse than those who arrive bang on time are those who arrive early, when you’re still in your pinny and haven’t had time to soften your more frazzled edges with your first cocktail. For the very best in civilised behaviour, arrive between 10 to 15 minutes after the appointed time. 2. Bring wine if you must but now it’s highly acceptable, not to say fashionable, to bring craft beer or cider instead. You look terribly cutting edge and no one has to drink it. 3. Don’t take flowers Because rattling out dinner for eight isn’t soothing enough, let’s add having to find a suitable vase to this evil game of party peril? Send flowers afterwards, or take a potted plant – no cacti though, chances are there are enough pricks at the table as it is. 4. No one cares what you like If you are vegan, vegetarian or have a deadly food allergy, of course you should let your host know beforehand. If you’re just not eating dairy this week, flirting with gluten-free or drearily carb-phobic, do keep it to yourself, there’s a love. There’s honestly nothing more boring than the pick-and-mix culinary peccadillos of others. 5. Do talk politics and religion. It’s so prissy to skirt around the really interesting stuff in favour of what? House prices and minor illnesses? Do also pay close attention when speaking about your children to anyone who is not a blood relative in case of terminal eyeglazeoveritis. 6. Don’t help Of course, do offer, but you can be too casual. 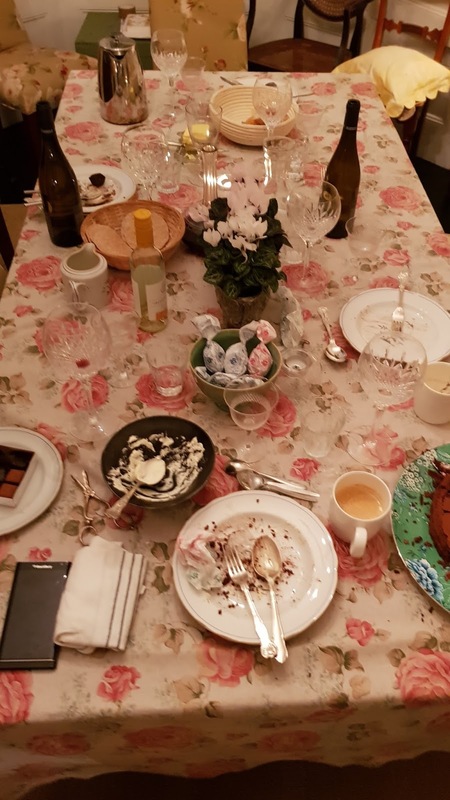 Unless invited, don’t start clearing tables or washing up. It’s your job as a guest to sit there and be absolutely fascinating, damn it. 7. Accept that last drink If I’m pouring the hard stuff, or that weird digestif I dragged back from my hols, it’s because I want you to stay. If I suggest tea or coffee, I am mentally calling you a cab. Please don’t expect me to actually make the tea or coffee. 8. What time to leave? Mr Blaikie speaks perfect sense when he says weeknight dinners should be over by 10.30pm. We aren’t 20 anymore and being in (you own) bed by midnight is one of the cornerstones of civilised life. But if anyone left my house at 11.15pm on a Saturday night, I would hang up my hostess apron forever. Do stay. Have another drink. Laugh. Gossip. Drag out the old vinyl and let’s dance around the kitchen. Don’t leave me this way. Not just yet. 9. Do say thank you Of course, a letter is delicious and people will remember your impeccable guestitude forever; a postcard is good and an email is fine. The most dreadful thing you can do is to resist sending an email or making a phone call as you absolutely, positively are going to write that letter. Just as soon as you track down the perfect stationery, buy an ink pen, find a stamp and master calligraphy. And suddenly you’re bumping into your hosts at another event and it’s 10 months later and they’re wondering why they never heard from you again and is it because you hated their cousin Bert or the syllabub, or, in fact, them. Send the bloody email. 10. If you’re the host, don’t show off. You need to make it look – or at least feel – effortless if you want your guests to be relaxed and have a good time. No one cares that you spent the whole weekend watching YouTube videos of how to make swans from choux pastry. Bowls of bought ice cream taste sweeter than any amount of culinary braggadocio. Perhaps, after all – and as I have often suspected – Waitrose is here to save us from our baser selves. 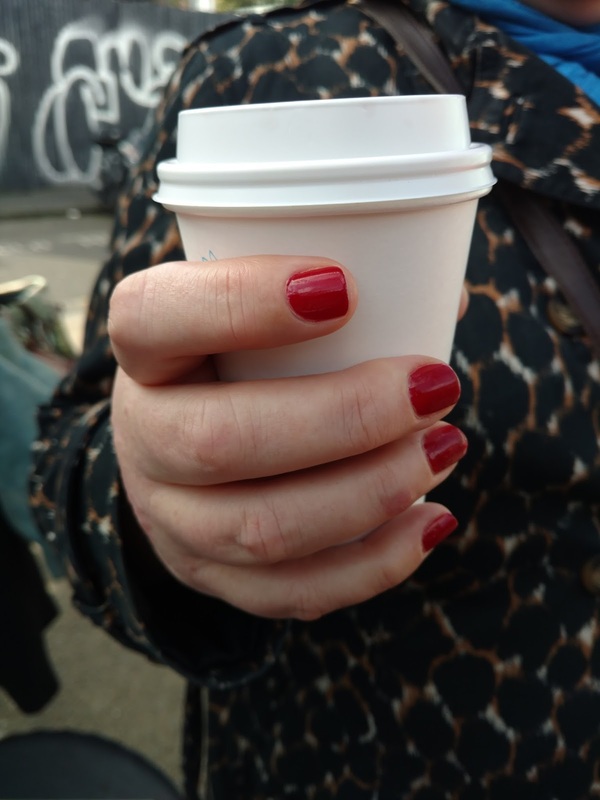 Next weekend, 3-5 June, Stoke Newington comes alive with writers and all manner of creative types for the seventh Stoke Newington Literary festival. If you’re the hungry or thirsty sort, which of course you are, do come to any and all of the events I’m helping to run in St. Paul’s West Hackney. We kick off with A Taste of Honey on Saturday, with Hattie Ellis, Hannah Rhodes and Paul Webb, then Sabrina Ghayour joins us to talk about her delicious new book Sirocco, the follow up to her smash hit bestseller, Persiana. We round off Saturday afternoon with chocolate brought to us by Cocoa Runners and philosopher Julian Baggini. On Sunday, Rachel McCormack hosts her popular Gastro Salon, with cocktail queen Kay Plunkett-Hogge, Hackney food writer Yasmin Khan and local resident and former Shadow Chancellor of the Exchequer, Ed Balls, and then on Sunday afternoon Itamar Srulovich and Sarit Packer join us to talk about running their deliciously successful restaurant, Honey & Co.
Do come! It would be wonderful to see you. Have you ever thought about becoming a bee keeper? Fancy having your own hives or simply mad about honey? Then join us as we talk all things honey with Hattie Ellis, author of Spoonfuls of Honey, Hannah Rhodes, founder of Hiver Beer, and urban beekeeper Paul Webb. 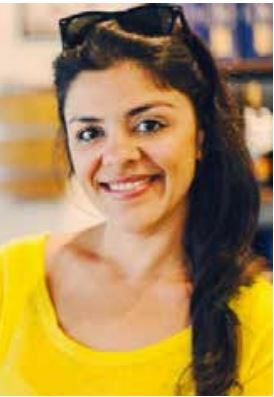 Join Sabrina Ghayour, the award-winning author of the bestselling Persiana, as she talks food, cooking and her eagerly anticipated new book Sirocco. Discover what fuels Sabrina’s passion for food, the inspiration behind her new book and the key ingredients that are always in her shopping basket. There will be samples of one of the dishes from the book. 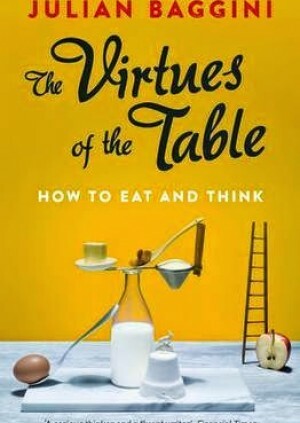 Philosopher Julian Baggini’s essay, an epilogue to the acclaimed The Virtues of the Table, extends his thoughts on our relationship with food to cover one of the greatest food groups of all, chocolate. The essay was exclusively written for Cocoa Runners, a chocolate club who are passionate about the chocolate they source and how it is produced. Both Julian and the Cocoa Runners team will be joining us for chocolate, discussions on chocolate, and more chocolate. Host Rachel McCormack (BBC Radio 4’s Kitchen Cabinet) talks to former model booker, cocktail queen and food writer Kay Plunkett-Hogge (Heat: Cooking With Chillies), Hackney-based author Yasmin Khan (The Saffron Tales) and former Shadow Chancellor of the Exchequer and self-confessed foodie Ed Balls (Sport Relief Bake Off) about road trips. They dish up stories of the best – and worst – food they’ve eaten whilst travelling. A Love Affair With Food. Since it first opened its doors in 2012, Honey & Co has attracted an intensely loyal following who pack the tiny restaurant every day. At the heart of this success are owners Itamar Srulovich and Sarit Packer – partners in business and life. Join them as they talk about how they got started, what inspires them in the kitchen, and how they navigate a delicious path in work and life. 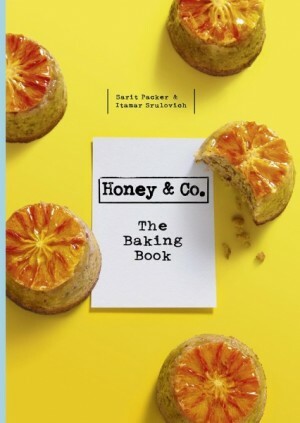 There will be samples of cake from their baking book. The full Literary Festival programme can be found here, or downloaded in pdf format here. Today, Twitter is 10 years old. 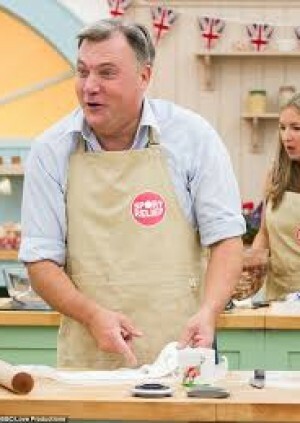 To celebrate I’m baking the little birdy a cake. Not really. But I have such affection for the real-time microblogging site, I feel like I should mark the occasion in some way. Perhaps during Anniversary Monday I will attempt to speak only in sentences of 140 characters or fewer, like this one, as a special tribute? I love Twitter. This seems this is an increasingly unfashionable point of view. 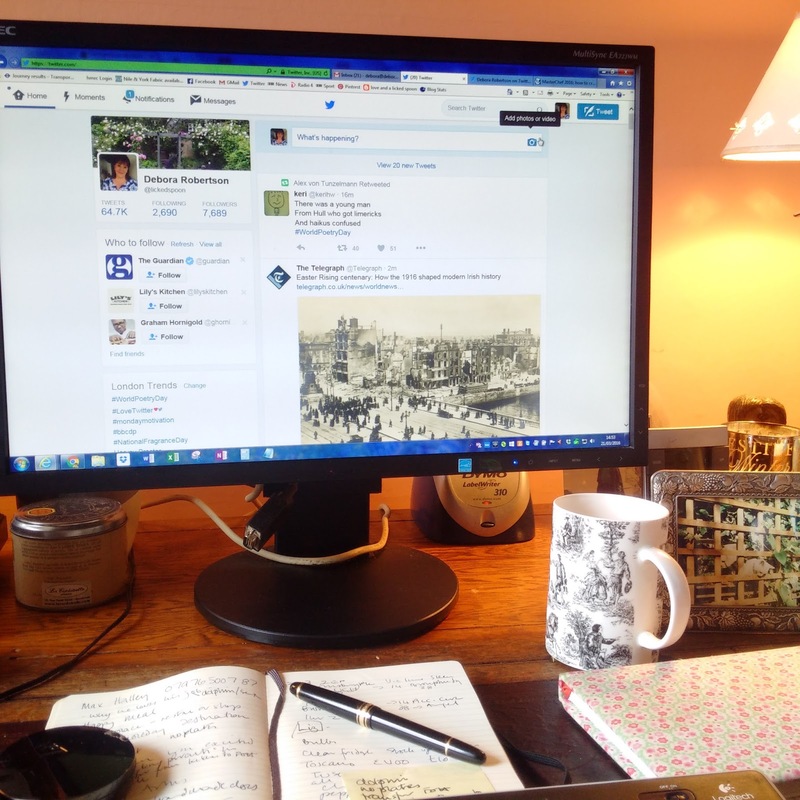 If you listen to various media reports (and my dad), you’d think that to tap into Twitter is to ensure the wrath of the mighty – or at least the sweaty, typing away in dusty, unaired bedrooms, possibly in their pants – will fall upon your head. That’s certainly true for some. If you are famous, especially famous while female, have an opinion, or have made a mistake, said something strong or perhaps a bit silly, friendly interaction can be drowned out by an avalanche of grimness, bile, appalling spelling and unresolved mummy issues. But for the rest of us, it’s still possible for Twitter to open up the world in a rather wonderful way. As a journalist working from home, the only thing I miss about office life is the cosy, helpful, sometimes scandalous chat each day. My cat is a very poor substitute. Dixie has few opinions on the Real Housewives of New York. She cares not if a certain chef does or doesn’t have a gastric band, or whether the roadworks at Old Street roundabout will be completed in our lifetimes. She doesn’t know if the Sugar Tax will make any difference, who might win the Man Booker Prize, the possibility of Spurs ending the season higher than Arsenal in the League, or which mascara is absolutely, positively waterproof. Twitter can be like the most useful and friendly drinks party, one where no one cares that you haven’t brushed your hair or changed out of yesterday’s ancient top. My Twitter pals provide me with a constantly evolving list of books, plays and exhibitions I must fit into my life, advise me on how to prune my roses or what malevolent creature is eating my gooseberries (sawfly), where to find a new dog groomer or a person brave enough to come and clean my oven. If I want to discover why that helicopter has been hovering over my house for two hours, Twitter’s the first place I turn. And wherever I am in the world, I use Twitter to find out where to stay or to eat from people who live there. It’s like TripAdvisor without the latent psychopathy. At its best, Twitter has the power to bring out people’s fundamental need to be kind. On many occasions, it has figuratively and literally helped me with my shopping. I even got a book deal out of it, when a gardening writer I know only from Twitter put me in touch with her publisher who was looking for someone who could write about both cooking and gardening. So thank you for that, @alexmitchelleg. I’m fascinated by the way it demonstrates human complexity. I love how Irish novelist Marian Keyes, (@MarianKeyes) follows her traditional greeting of ‘Lads!’ with everything from nail varnish, to Strictly, Irish Tayto crisps, her Mammy and unflinching honesty about her depression. That actor Sam West (@exitthelemming) tweets beautifully about birds and nature, that Ian Martin (@IanMartin), Emmy-award winning writer on Veep and The Thick of It, is so knowledgeable about architecture. In a world which seems increasingly to want to pigeon hole people, to allow them only to be one thing – often not of their own choosing – it’s a useful reminder that you can be interested in Syria and lipstick, Beowulf and Happy Valley, restaurants and kayaking. It’s wrong to assume that all keen tweeters are eschewing the real world for a cosy or combative virtual one. For me, the opposite is true. I flip through my diary and see that half a dozen or so of the people I’m seeing this week are some of those I first met in communications limited to 140 characters. Now we sometimes talk for hours, share stories, laughs, drinks and problems, give each other career tips and romantic advice. Just like proper friends because we have become proper friends. For me, communicating with people I would never have got to know in a life before Twitter, has been unequivocally life enhancing. It’s egalitarian and fun, the easiest way to find your faraway tribe, wherever you are and whoever you are. Whether you’re interested in rare breed sheep or mediaeval manuscripts, or just want someone to listen along to #TheArchers with, you just have to find the right @s for you. And for that, we all owe a friendly debt to the little blue bird. I tweet as @lickedspoon. Come and help me procrastinate. Kathy Burke @KathyBurke Upliftingly sweary and funny. Passionate supporter of the NHS. Kind and consistent retweeter of lost people and dogs. Carrie Fischer @carrieffisher I want whatever she and her French bulldog Gary are having. Gives great emoticon. Cher @Cher Hard to know what she’s going on about sometimes, but you wouldn’t want to miss it. You know when she’s awake. Loves capital letters. Reverend Richard Coles @RevRichardColes Presenter of BBC Radio 4’s Saturday Live, former Communard, priest of the parish of Finedon. Follow him for his wry look at the world and excellent pictures of dachshunds. Joanne Harris @Joannechocolat Award-winning author of Chocolat and many other novels, short stories and cookbooks. Generous with advice to writers; admirably, patiently ruthless with sexists and any other form of bigot. Jeremy Lee @JLQuoVadis Lively tweets from the charismatic chef at London’s Quo Vadis; part food, part flowers, part flirt. Generous and heartwarming stuff with edge of wickedness. Gary Linekar @garylinekar Come for the football, stay for the Piers Morgan put downs and self-deprecating funnies. Alison Moyet @AlisonMoyet Engaging, chatty, funny and kind. Essentially you want her to be your best pal in a total FanGirl way. Nigella @Nigella Warm, informative and responsive to her followers, unlike some. Good on recipe tips and pointers to the latest cookbooks. Richard Osman @richardosman The co-presenter of quiz show Pointless, or ‘You know, that guy from that thing,’ as his Twitter biography would have it. Prolific, funny and generous. I often tell people that I can cook because my mother couldn’t, or wouldn’t. She was far more interested in studying, writing, teaching and taking us to museums and bookshops, on walks along the riverbank in Durham and, importantly, instilling in my brother and me a love of whiling away afternoons in cafés. All of these are very important life skills. But she did sometimes cook more than the usual, hasty beans on toast or egg and chips, and when she did, it was from Jocasta Innes’s The Pauper’s Cookbook. 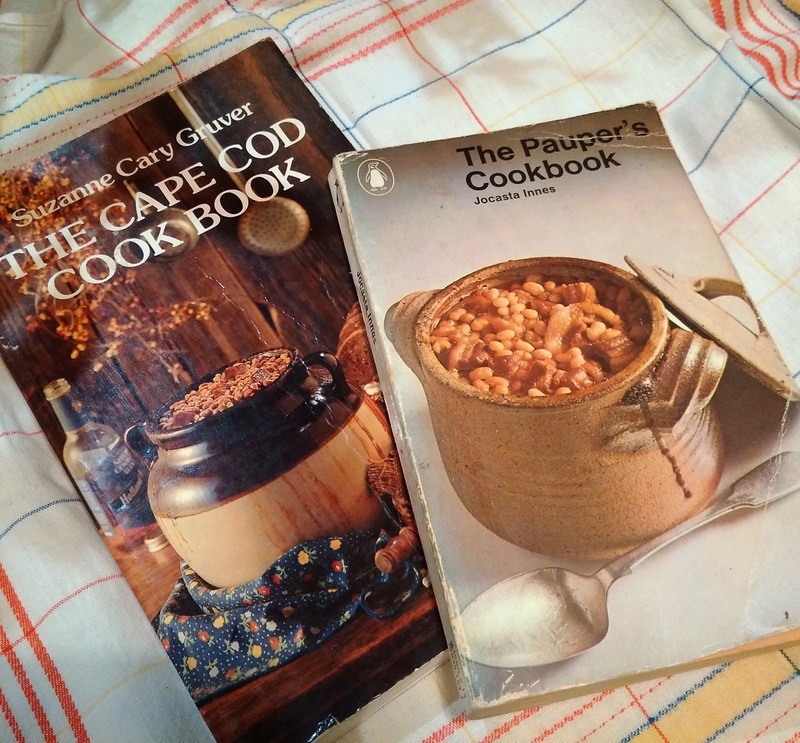 I was just writing something about 70s food, which made me pick up my old, yellowing copy for the first time in years. Flipping through it, I can see it through my mother’s young eyes and understand why it must have been so appealing. This book is about as far away from the 70s housewife world of perfect garnishes and dainty hors d’oeuvres as it’s possible to get. It’s crammed with recipes for the hurried, harried and skint. It has a let’s-get-on-with-it tone and a spirit of adventure, with recipes such as brandade of tuna fish, tortilla, and Suleiman’s Pilaff (bits of leftover cooked lamb, mixed with garlic, patna rice, tinned tomatoes and ‘a pinch of thyme or rosemary’ – the ‘pinch’ makes me think that the assumption is they’re inevitably dried, not fresh). Welcome to the 70s, so many beans, so much brown earthenware. ‘So leave it to the affluent to court indigestion at the Waldorf-Ritz: here’s how to live it up in your own squalid tenement without recourse to poaching, rustling, guddling, scrumping or shop-lifting.’ How could you possibly resist? And now I need to go and find out what the hell ‘guddling’ is. 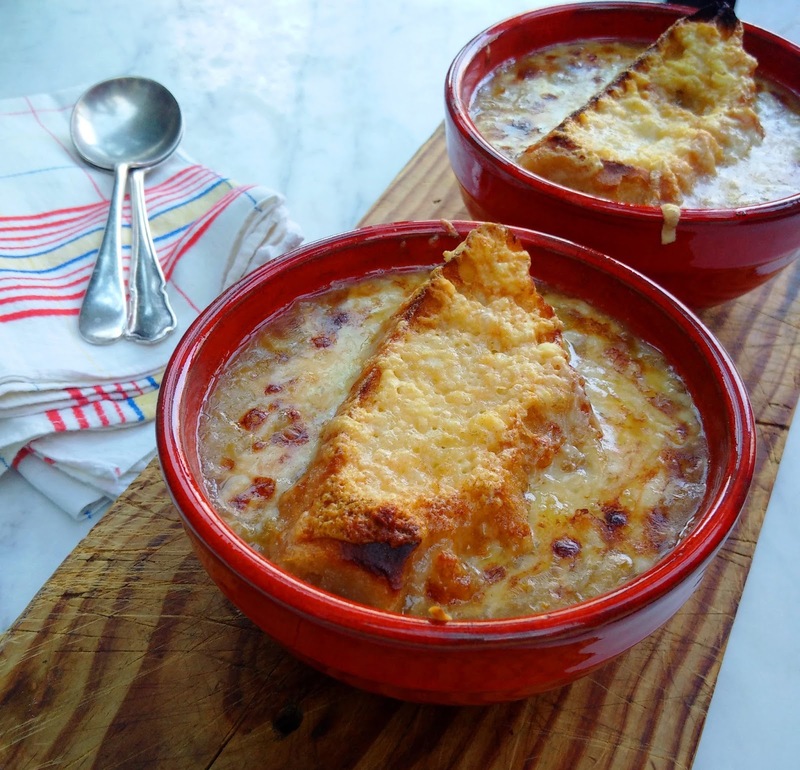 I wanted to make something from the book without having to run out to the shops (too cold, too lazy), so my eyes fell on Jocasta’s recipe for French onion soup. Her recipe was much simpler than the one I create here. Its ingredients are 1 quart basic stock, 4 large or 6 small onions, knob of butter, 1/4lb grated Cheddar, 4 slices toast, salt and pepper. But with my Twenty-First-Century fancy London ways, I have at my disposal wine and brandy, Gruyère cheese and an end of slightly stale baguette. But it is absolutely in the spirit of Jocasta, if not to the letter. or casserole. 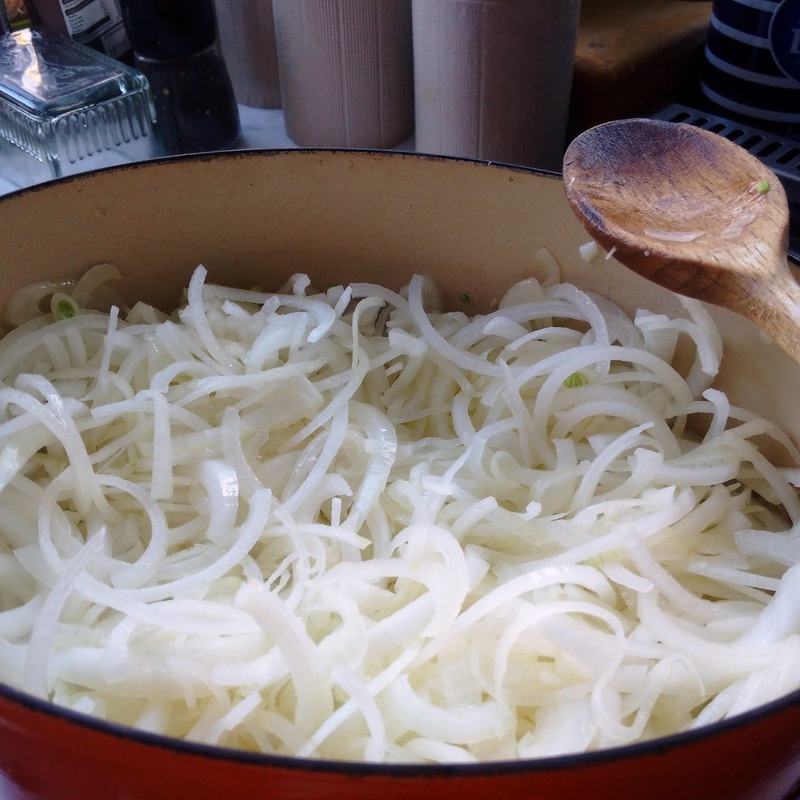 When it stops foaming, add the onions and a good pinch of salt. Fry gently, stirring often, until they are just beginning to turn golden – they shouldn’t caramelise at all. This could take at least 30 minutes, up to 45 minutes. …transform into these soft, golden ones. Pour in the wine and stir again for a couple of minutes until almost completely evaporated. Next add the stock and some salt and pepper and simmer, uncovered, for 30 minutes. Grate in the nutmeg, pour in the brandy and season with more salt and pepper if necessary. Ladle the soup into heatproof bowls. 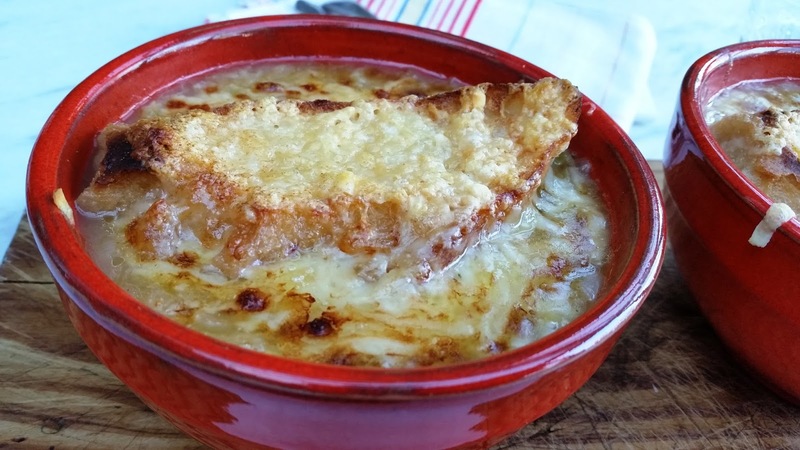 Place a slice of bread on top and scatter the cheese over the top. Grill until golden and bubbling. Serve immediately. 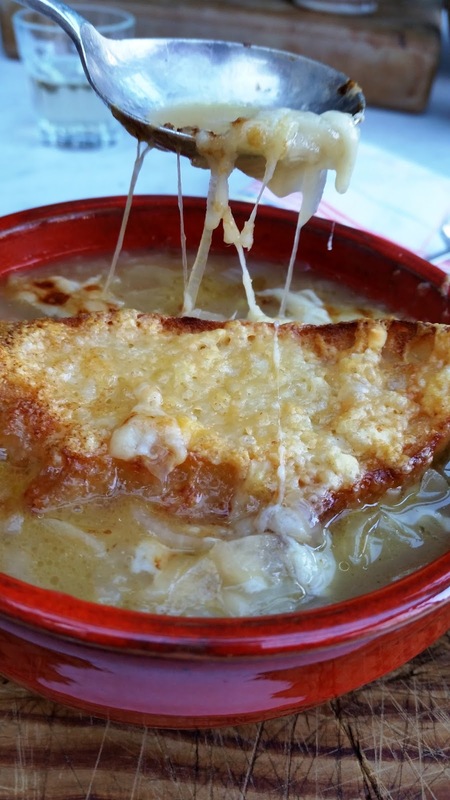 I love the way Gruyère melts into delicious stringiness. Weekend breakfasts, specifically Saturday morning breakfasts, are among my favourite of all meals. I love the easy, freewheeling slide into the pleasure of the weekend, slummocking about in pyjamas, spreading out the newspapers, flipping through a stack of new magazines with a wad of Post-Its, catching up on favourite telly. Séan usually makes the breakfast at weekends (A Very Good Thing), so it was in a rare burst of Saturday morning activity that I whisked together these pancakes. I had some roasted squash left over from dinner the night before and the slightly charred edges added a caramelised note to the end result which I liked, but you could certainly use simply steamed or lightly roasted and mashed veg. You could also mash and freeze small amounts of leftover roast squash so you have the essential ingredient ready to go should the mood strike. I used buckwheat flour but just use plain flour if that’s what you have to hand. 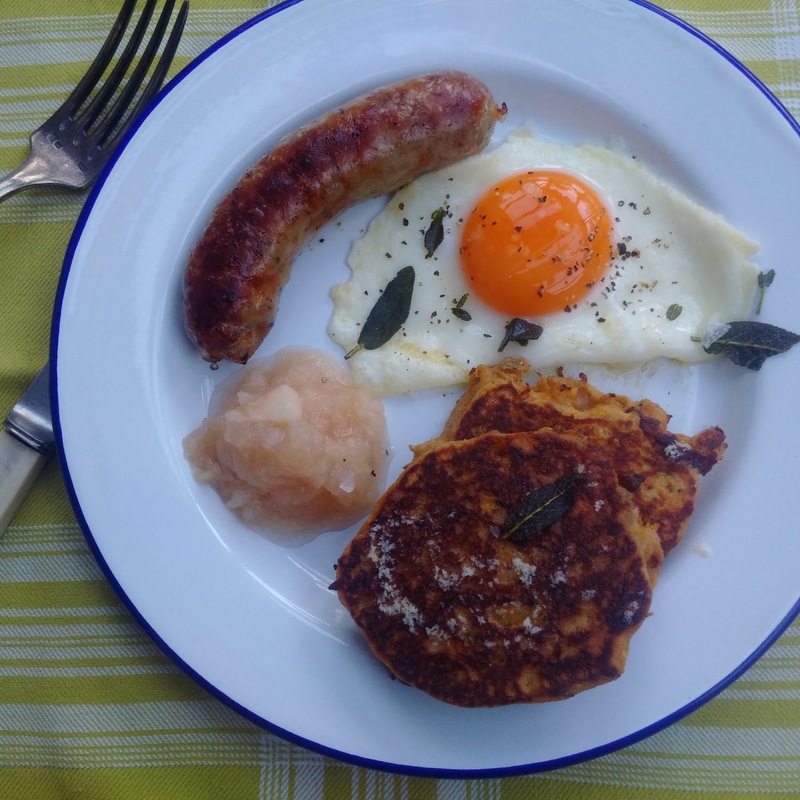 I served the pancakes with Toulouse sausages, fried eggs, a bit of fried sage and a splodge of apple sauce, but they would be great with anything of the things you like to fuel you through the weekend. Apart from baked beans. Please don’t do that. Mix together the first seven ingredients in a bowl until well blended. Make a well in the middle. Whisk together the remaining three ingredients in a jug. Pour the buttermilk mixture into the pumpkin mixture, stirring as you go until just combined. Warm a splash of oil into a non-stick frying pan and warm over a medium-high heat. Spoon small ladelfuls of the batter into the frying pan – you will probably need to do this in batches. Cook each pancake for about 3-4 minutes per side, until golden and cooked through. Keep the first batch warm while you cook the rest of the mixture. Serve immediately, with eggs, sausages, bacon, whatever you like for breakfast.